Are you considering a master’s degree in planning? This event is for you! 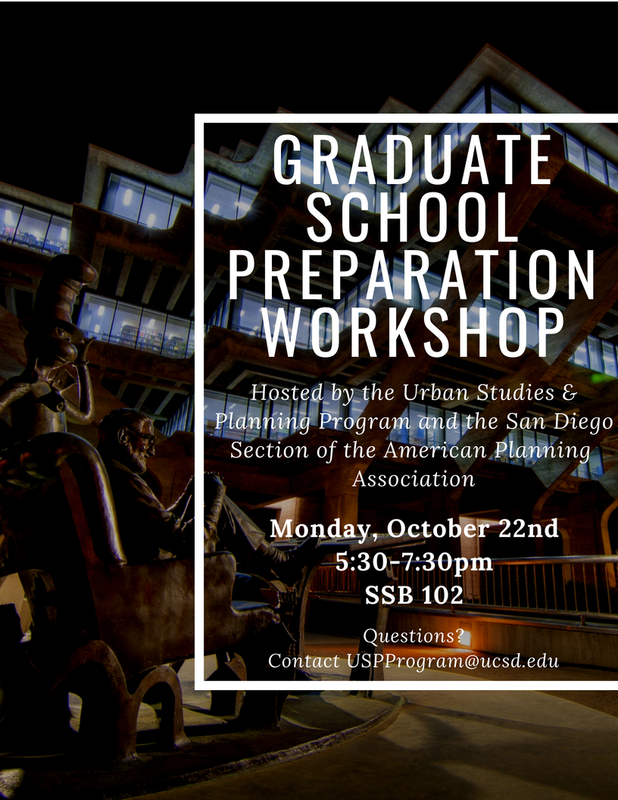 YPG and UCSD will be hosting the Graduate Programs in Planning Info Session on the UCSD campus. This session will include presentations from Southern California graduate programs, as well as a Q&A panel with planning alumni from across the nation.